Trying to put some of the bickering to rest.. I created these job cards! You can download them below and use them in your home. I’ve been a mom for over 16 years now. In that time I have tried approximately 2910347950349 chore charts/systems. Ok, so that might be a slight exaggeration. But there have been a lot. Like my chore chart, family bucks, and accountability binder. There are lots of things I’ve learned through trying to implement these systems but the two biggest things are- every child is so different that what works for one might not work for another and consistency/follow through is everything. So here I am with my simple idea for disciplining tweens and teens. 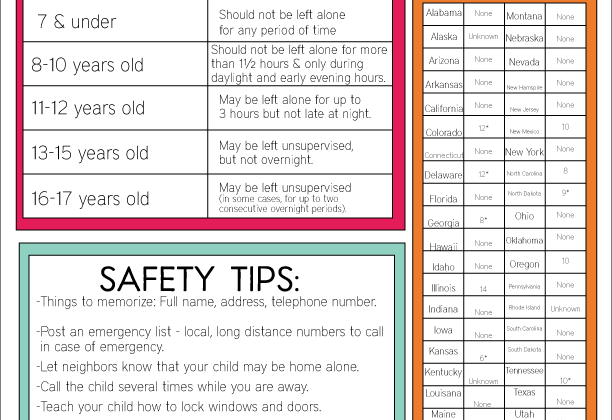 My kids are 16, 14 and almost 10 (we’re in the thick of tween and teen thing around here) so this works for us, but if you have younger kids, take the basic idea and make it work for your family. As my kids have gotten older, the talking back, not listening and bickering has increased. While I’ve never considered myself the most patient person, my patience grows even thinner as these things have progressed. I have found myself yelling more and snapping easier. I can be quick tempered and overreact. I don’t like it at all. I want that to change. My simple solution? Job cards. Let me be clear that my kids already have basic chores – they do the dishes, clean their rooms, feed the dog, take out the trash, etc. 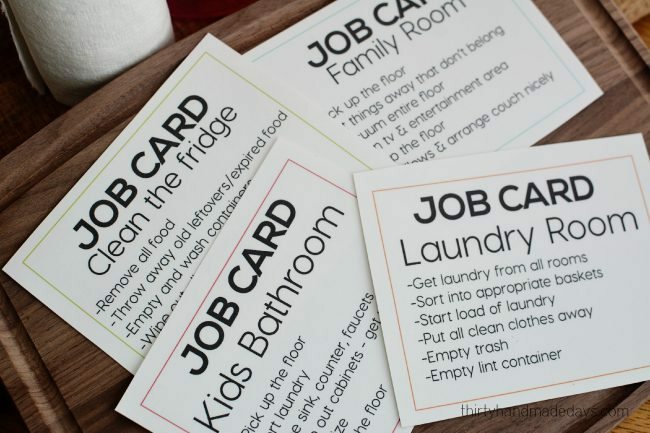 These job cards are more specific than the chores that are expected of them on a regular basis. The idea is two fold – decrease the behaviors without losing my cool and teach/refine their skills. 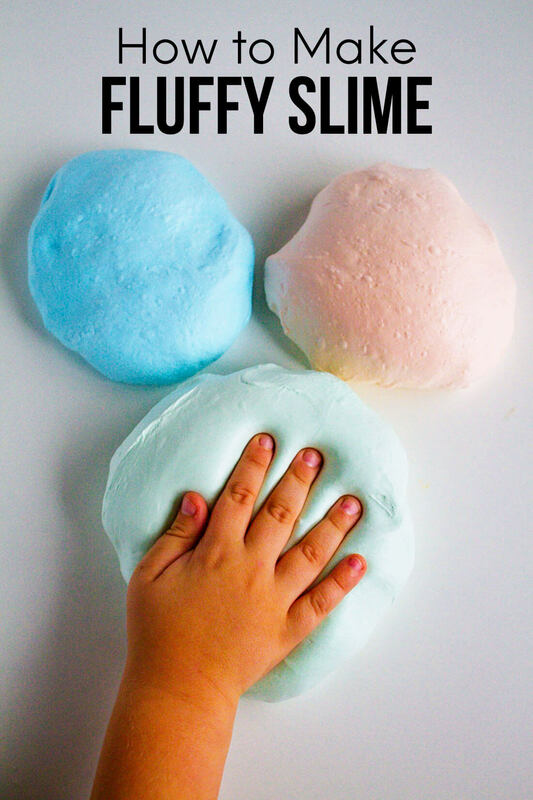 Who really wants to clean out the fridge or the kids bathroom? Nobody. If they don’t listen or fight or ______ (insert behavior there), they will be given one warning and then I will grab a card and hand it to them. It’s all spelled out for them so that there won’t be arguing or questioning what is expected. They won’t get to pick the job I give them (because this is discipline after all). Also there will be times when something needs more attention than another spot so it makes sense for me to assign it. There are so many that I could come up with but I started with 4 basic cards. I will add more in the future. **Edited to add — there have been some comments about using this system for discipline. 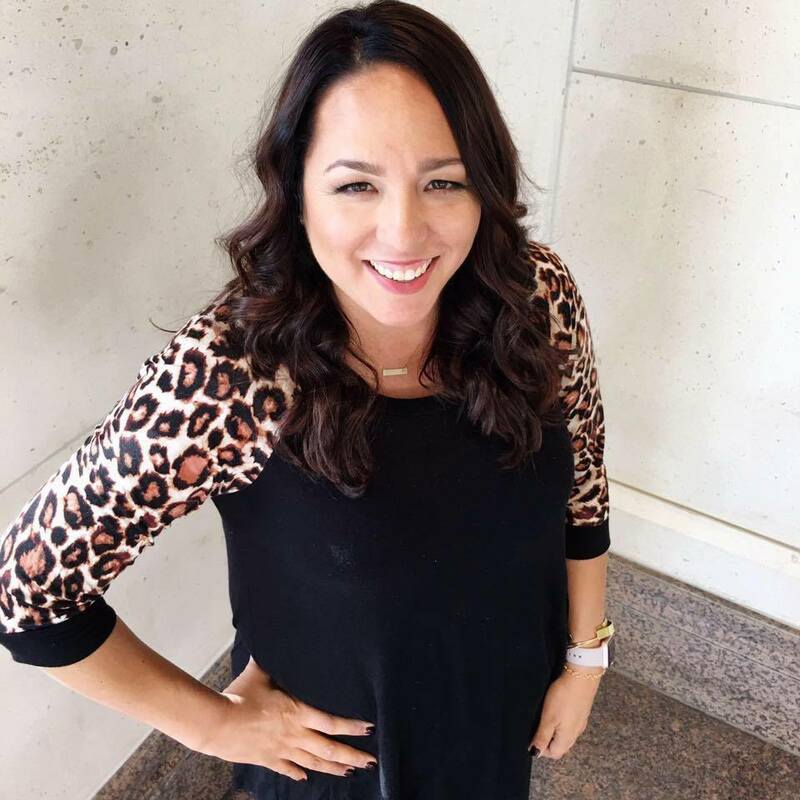 If that isn’t your style – don’t use it for that! 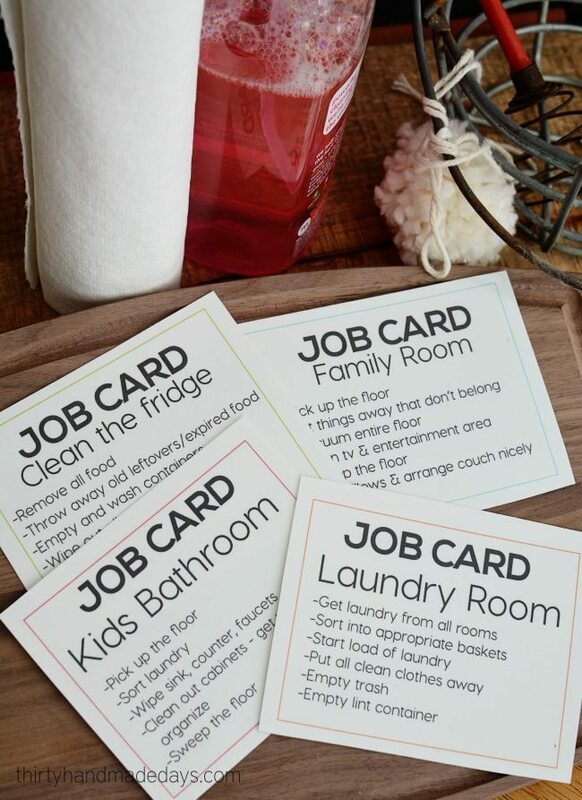 You can use these job cards just for chores. Do what works for you. 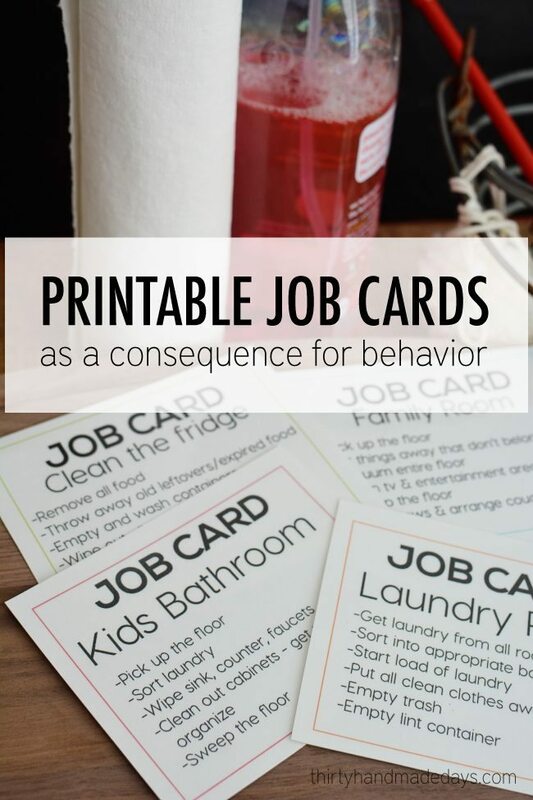 You can download these printable job cards – filled out and blank. I laminated my job cards with my favorite laminator so that they would hold up well. I use that thing so much for so many projects! You can check some of those laminator projects out. I’d love to know —- what do you do in your home with discipline? I also like this Technology Token post too! My 5 year old does chores. I’ve made a chore chart (wish I could share a picture!) for him and instead of money, he accumulates time. His time can be used for playing his Wii u, watching YouTube kids, playing a phone, and other things like that. We do still teach the importance of saving, but these days kids are so hooked on electronics and I thought this was a good way to show him limitations on it, and earning it with responsibility. I bought a big white dry erase board that is also magnetic. I drew a line down the middle. I cut note cards into horizontal strips and applied a magnet to the back. I write the date on the bottom and also write in extra time for big things like dusting,cleaning baseboards and things like that. On the left side of the line I put all the magnets / chores. On the right side, I put each item he can earn time for. (PlayStation, wii u, YouTube, phone). Once he completes a chore, we move that magnet strip under the item of his choice. If he only does one chore for 5 minutes, he quickly learns it goes by too fast. Now he is doing 3 or 4 chores to build up time. As far as that goes, we take away the games, the tv, use time out. I don’t think he’s old enough for anything harsher than that – and I use the timeout=their age for how long they’re in it. Overall, he’s a very good boy and we rarely have to discipline. I always say I’ve got the biggest teddy bear for a son. He’s so sweet. But he gets those days (as we all do) and cops an attitude or gets in trouble. I think this is something I am going to try instantly as soon as I am going back from this trip. Getting lazy these days.. ! So how do you get them to do their regular chores without being told.